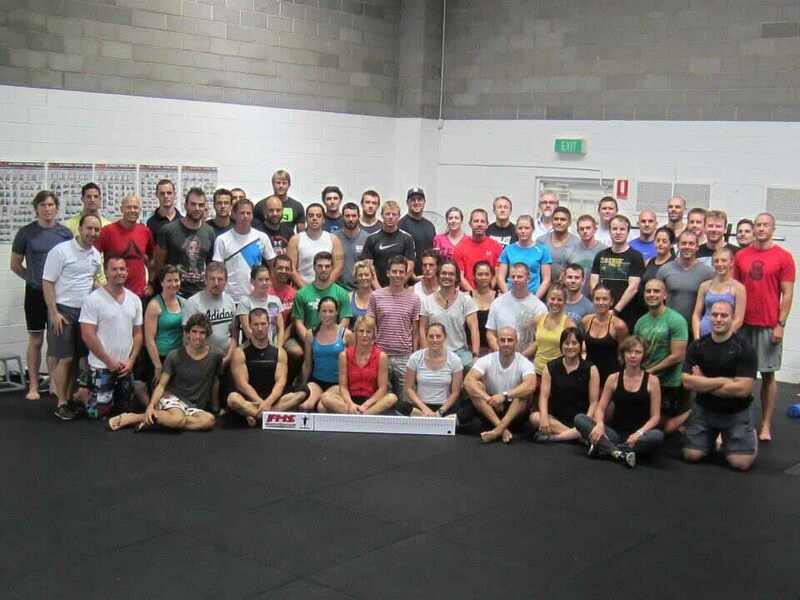 This past weekend I had the pleasure of travelling to Melbourne, Victoria to attend the Functional Movement Screen Level 2 course instructed by the jovial Behnad Honarbakhsh of Functional Movement Systems and Fit To Train, and hosted by Andrew Read of Dragon Door Australia. As with all of the Functional Movement Systems material, and being surrounded by such an exceptional standard of movement therapists of various disciplines and experience, the weekends curriculum encouraged some frenetic note taking and sparked more than a few light bulb moments throughout. I’d like to share some quick pearls of wisdom with you here, much of which will be familiar to the FMS initiated. The course was spectacular in its structure, delivery and substance of content, all of which connected and progressed perfectly after the Level 1 course I had attended in Sydney back in 2010. I am now, as I was then, of the opinion that no matter what you take from system itself, the Functional Movement Systems crew are of an exceptionally high standard of professional, and these courses would do well to become a requirement for all fitness professionals and rehabilitation specialists. Setting up a Quadruped Rock with Core Activation. Pearls, in no particular order. Stability is not strength, stability is reflex driven. Quality stability is driven by quality proprioception. Quality proprioception is not possible with mobility restrictions. You do not need to fix everything, focus on the weakest link(s) in the movement chain. Maintain the squat, train the deadlift. Most of the human bodies muscles are angular in orientation, and the majority of individual fibres run at several angles relative to the muscles force generating axis (multi-pennate). – The body (and brain) thrives on diagonal movement. Check all four quadrants, work on the most challenging. Achieve proximal stability for optimal distal mobility. Check the grip, it has connections to shoulder health. – Screen, correct and evaluate breathing. Motor learning occurs from the ground up. Must have a positive short-term response to obtain long-term adaptation. I still don’t know anything at all. Hey Danny, hope your well Mate. I’ve just started going to the Bondi Junction GYM which is now closer to home so won’t be training in North Sydney any more. I wanted to run something past you as I was hoping you could lend some assistance and make a recommendation or two if possible. My Girlfriend has a bad car accident when she was younger and got whiplash in her neck. This has been a long term injury which she has tried allot of things to resolve. She is finally getting some good help for it however her physio and acupuncturist has recommend she starts strengthening her neck with Pilates as an example. I wanted to ask if you could recommend anything or any exercises that may help? I haven’t provided much background around the actual injury and that your not a Doctor so let me know if you need more info. I thought I had seen you in Bondi! My apologies for the late reply sir, my website has been down recently. As a rule, I don’t touch the neck at all. With or without specific details on the history, neck problems are well beyond my scope and best left in the hands of a capable clinician. If you like, I can certainly put you in touch with some brilliant individuals who would be more than happy to help you? The information contained herein is for educational purposes only and is in no way a substitute for advice from a medical professional. Anyone considering engaging in physical activity of any kind is strongly urged to seek clearance from a medical professional prior to commencing. BioForce Certified Conditioning Coach Course.